If this happens, it could accelerate a further breakup of the ice shelf, essentially removing a massive cork of ice that keeps some of Antarctica’s glaciers from flowing into the ocean. The long term result, scientists project, could be to noticeably raise global sea levels by 10 centimeters, or almost four inches. The crack in the ice shelf, known as Larsen C, has been growing at an accelerating rate. Since the beginning of December, it has grown about 11 miles in length, after extending 13 miles earlier in the year. In total, the rift has grown about 50 miles since 2011 (it’s almost 100 miles long in total), and has widened to well over 1,000 feet. Now, only 12 miles of ice continue to connect the chunk with the rest of the ice shelf. When it breaks away, the loss would be of nearly 2,000 square miles of ice, say the researchers with Project MIDAS, a British government-funded collaboration based at Swansea and Aberystwyth universities in Wales. That’s larger than Rhode Island and almost as big as Delaware. 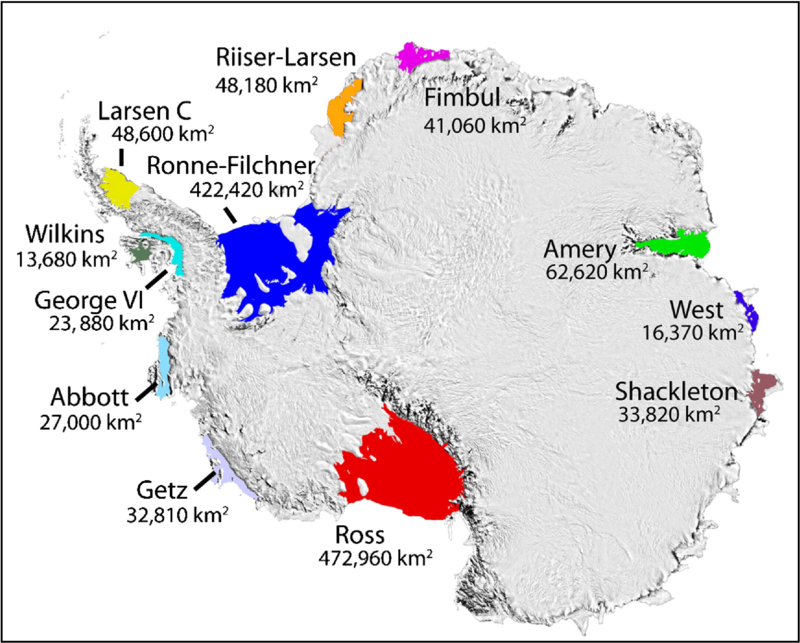 Fortunately, the Antarctic Peninsula does not contain nearly as much ice as other, thicker parts of Antarctica, such as the West and East Antarctic ice sheets. The potential sea level rise if Larsen C is lost would be measured in centimeters, not feet. The Larsen C rift on November 10, 2016. (NASA, John Sonntag).